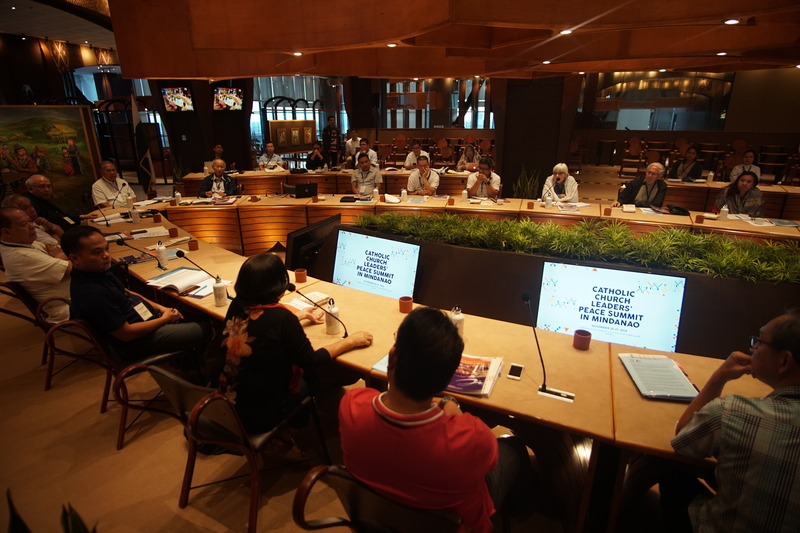 In the context of the Mindanao Week of Peace it is my privilege as President of the Ateneo de Davao University to welcome you to this Catholic Church Leaders’ Summit in Mindanao. Recalling the words of the Lord, “Blessed are the peacemakers, for they shall be called children of God,” we come together in this Calungsod-Sanvitores Center of the Community Center of the First Companions of the Society of Jesus in the name of peace. We come together just after the successful celebration yesterday of the 45th General Assembly of the Bishops’-Ulama Conference, and just before the “MSummit” shall be convened also here in this University. The MSummit is a gathering of Muslim Youth, Muslim Youth of Mindanao, “Mpowered” to drive a Movement for Peace, Salaam, at this Momentous Moment of Mindanao history. We come together today as disciples of Jesus Christ who came to “bring us life, life to the full” (John 10:10). “For it pleased the Father that in Him all the fullness should dwell, and by Him to reconcile all things to Himself by Him, whether things on earth or things in heaven, having made peace through the Blood of His cross” (Col. 1:19-20). We come together as disciples of Him who is “Head of the Body, the church” (Col 1:18) even here in Mindanao. We come together in a spirit of dialogue, in the way the Father through the Son and the Spirit engages the world in a dialogue that redeems and transforms our world. 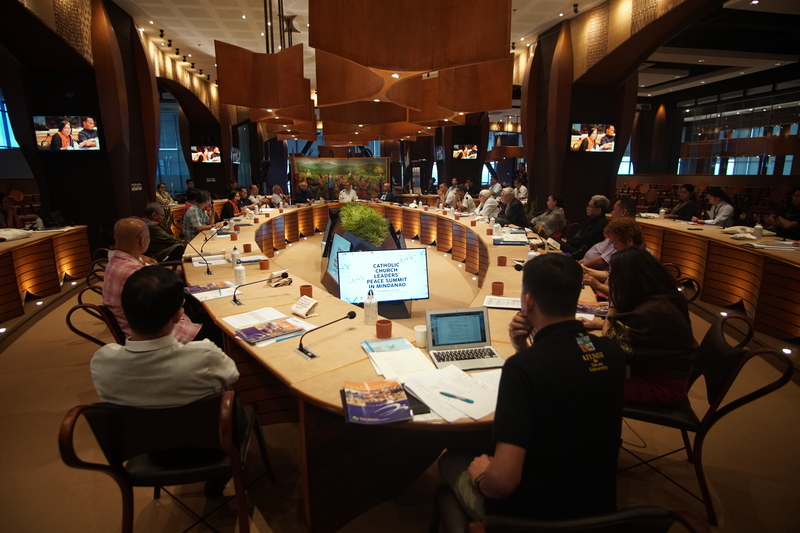 In the Spirit we have often entered into dialogue with the Bangsamoro, with the Lumad, with officials of government, with the police and the military, with local and international NGOs advocating peace, and many of these dialogues have been blessed. 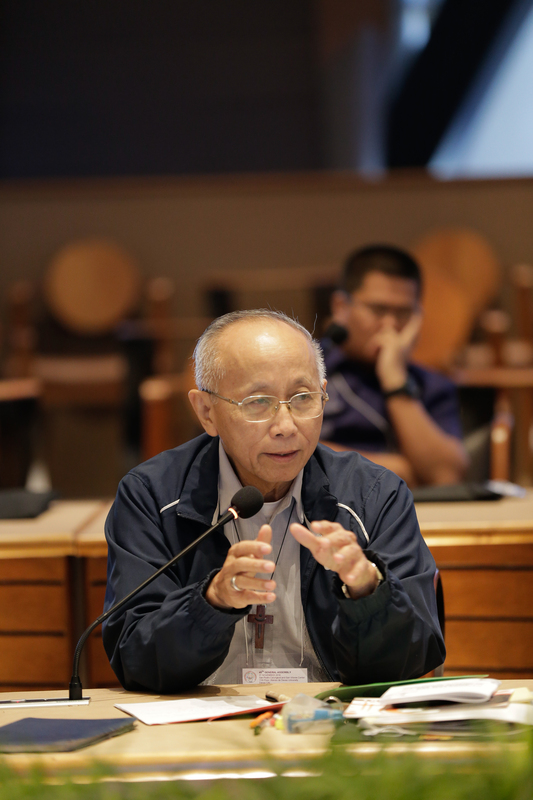 Yet, as leaders of the communion of Jesus Christ in Mindanao, as the Shepherds of our communities, as the heads of our educational institutions, as the driving forces of our peace movements, we seldom have opportunity to enter into dialogue with one another. That rare opportunity we seize during this Summit feeling the kairos of the moment, the pending ratification of the Organic Law for the Bangsamoro in Muslim Mindanao (OLBARIM, RA 11054), popularly referred to as the Bangsamoro Organic Law. We come together excited by bright prospects of lasting peace, peace which we have ourselves labored to build, yet burdened by dark memories of conflict and of yet unhealed wounds. Those wounds, despite the imperatives of peace, run deep and underpin the resentful silence, the sullenness, the bitterness, the cynicism and the rejection that often meet appeals for peace. At the same time we come together disturbed by the protracted struggle of the CPP-NPA which too often appears as sheer banditry and as victimization of the Lumad whom they press into their violent ranks, but whose driving ideals envision a society of greater social justice, dignity of the human laborer, and a future where the productive forces of society benefit not the privileged wealth but all without exception. We admit that that social justice and that system of production that serves a humane humanity is outstanding. We come together as disciples of Jesus Christ eager to spread the joy of the Gospel and the hope that the Father bestows on us in sending His Son into our Mindanao. May this Summit be a moment of shared discernment in His Spirit. Where we have been ignorant of the roles we have personally or collectively played in creating or abetting the social injustice that underpins hatred and war, through each other may our eyes be opened in the Spirit. Where we are insensitive to the suffering of our fellow human beings in Mindanao due to social structures with which we are complicit, through each other may we find compassion in the Spirit. Where we have been feeling helpless to change conditions that abet prejudice, hatred and violence in our Mindanao, through each other may we be empowered in the Spirit. Where we have been lacking in prayer and in trust in the Father who reconciles all things to himself through his Son, through each other may we find silence in the Spirit. But where we are called amidst the apathy to injustice in our Mindanao to speak out, through each other may we find our voice in the Spirit. And when the world pushes back against us, through each other we recall the Lord’s words, “Blessed are you when they revile and persecute you, and say all kinds of evil against you falsely for my sake, rejoice and exult – Gaudete et Exsultate! – for great is your reward in heaven…” (Mt 5:11-12). In the Lord’s Spirit, may our Catholic Church Leaders’ Peace Summit in Mindanao be blessed. This entry was posted in Address and tagged Catholic Church Leaders’ Summit, Mindanao Week of Peace, Peace Summit in Mindanao, The MSummit. Bookmark the permalink.